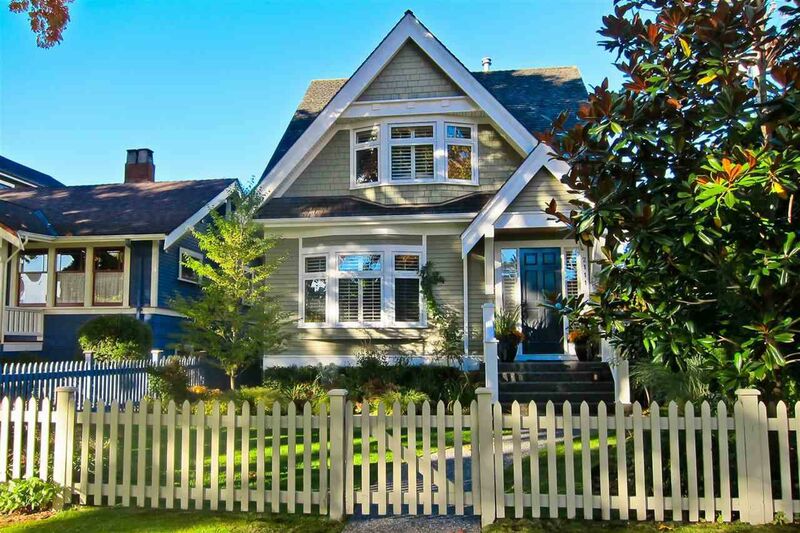 This custom built (by Eyco) and extremely well-maintained luxury home is now available in prime Kerrisdale. This 3,005 square foot family home would be difficult to replace with current zoning rules. Superb layout provides large living and dining rooms, along with a chef's dream kitchen, open family room and eat-in kitchen with all Subzero & Wolfe appliances including a steam oven. Recent renovations in the kitchen and family room have updated this home to a Transitional modern feel. Large family room & media area in the basement plumbed for easy conversion to a suite. Beautifully landscaped, this home is located within walking distance to all the shopping, schools, the Arbutus Greenway and all the amenities Kerrisdale has to offer.